Actually, we now know it's from 1949 and isn't impossibly early. Still rare and cool though! 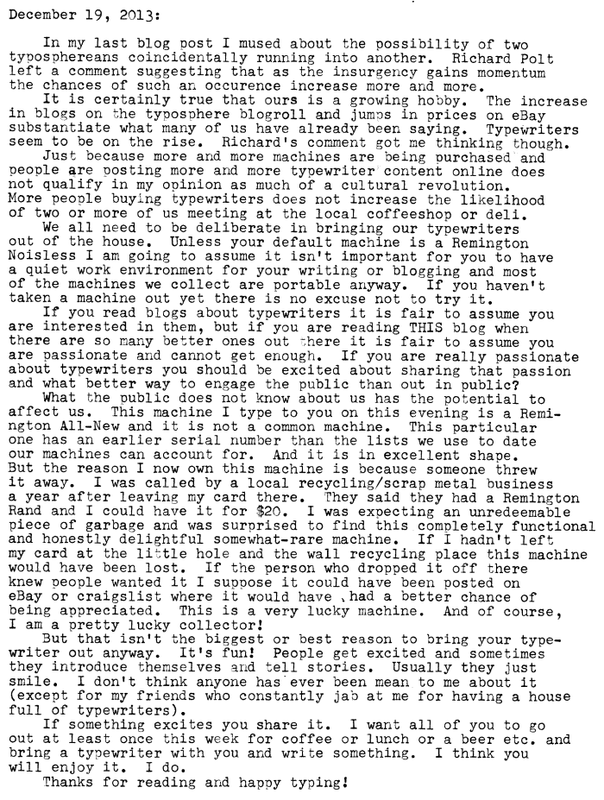 I don't "collect" typewriters (though I'm always willing to give one a good home), but use one almost daily. I have often thought about taking it with me to the local coffee shop -- but I am reminded of a meme I saw online of a guy doing just that -- and he was labeled as a "hipster". I have seriously never had any real negative reactions from people. The night I wrote this blog one drunk girl asked if I was a famous author... LOL. But really mostly you get compliments if anything and sometimes people pay way less attention to you than you'd think. Hey, your blog is no less important than anyone else, because it's you sharing you, and thats what matters! 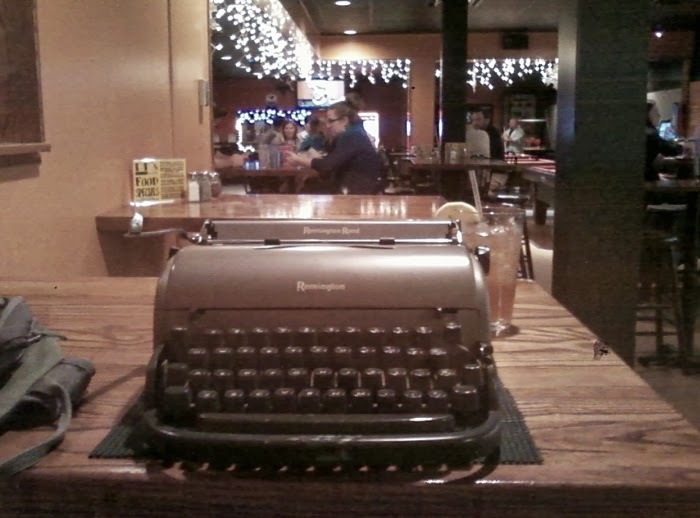 Especially as a budding writer, like myself, it's important to just write. I get from what you've shared so far, your passion and enthusiasm - it comes through! So just keep doing it - it's great. Just recently found this model on Craigslist to give my daughter as a Christmas gift. I’ve cleaned it up as best I can and replaced the ribbon. Though I can manage typing on it I was hoping to find a manual online to print and give my daughter with it so she can learn how to use it properly. Any tips or places to find one even if it’s for a similar model and not this exact one?